With loudspeakers in particular, review obsession with measured frequency response linearity borders on the absurd. Its measurements occur in anechoic chambers or perched high atop a mast for free-field conditions. Neither tells you anything useful about how such a speaker will perform below 200Hz in a room; nor predics how your room will interfere across the rest of the bandwidth. Why is FR such an attention magnet? Because unlike with electronics, it tends to be far more uneven with speakers. That's both by design—or rather, limits thereof—and because of room interactions. Such nonlinear behaviour creates personality or colourations. As such it is easily commented upon and visualized with measured plots. But what about timing? Our human ear/brain is arguably far more critical of timing than it is of minor amplitude errors. Within reason, those one acclimates to quickly. In electronics, speed is a function of slew rate, bandwidth and low phase error. In speakers, transient fidelity becomes the tell. Its evil twin is enclosure and driver resonance. Like cable dielectrics which store energy to release it delayed in time, speaker cabinets tend to store and smear energy. To a lesser extent, drivers do the same particularly if damping is insufficient to stop them on time. Meanwhile crossovers introduce phase shift and dispersion discontinuities. All of it pools into leading edges which aren't as steep, defined, unfettered and fast as they ought to be. Things get fuzzier, warmer and more indistinct. And that robs music of its intrinsic energy, jump factor and clarity. In short, attack precision or impulse fidelity is a subject which doesn't receive nearly enough coverage in speaker commentary. Just because it isn't readily illustrated with intuitively understood graphs doesn't mean it's not important. Against such an intro, you'd be right to expect an effective example to the contrary. 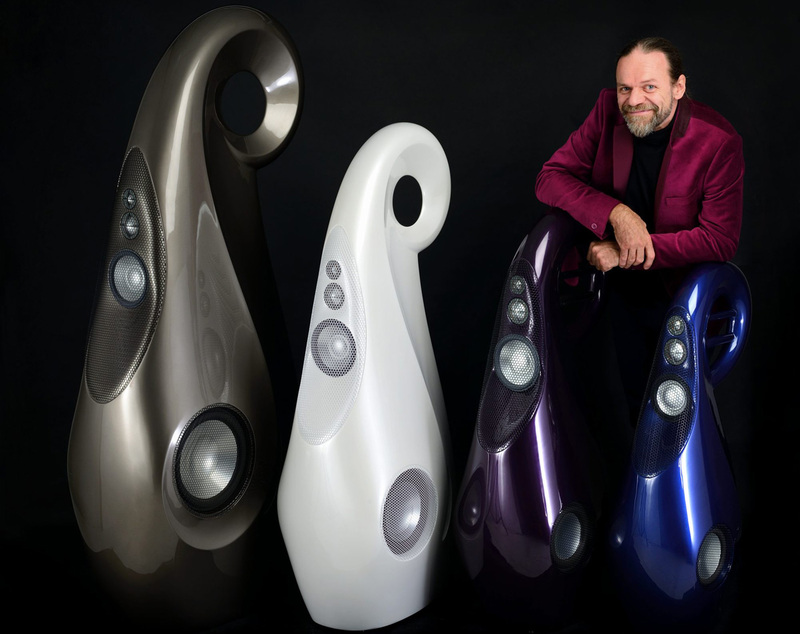 Enter South Africa's Vivid Audio loudspeakers. Like race-car chassis, they're housed in wind-slippery very low-mass enclosures made of balsa-core glass-fibre composites. Once you step closer, only slightly less obvious to the eye is that the drivers are proprietary and different. And particuarly with the baby of the Giya range under review today, it's also apparent that the drivers terminate in unusual ways, i.e. those strange tubes inside the loop which the G1 and G2 siblings conceal. 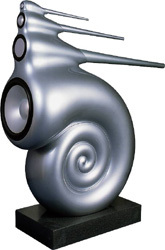 Mention the radically styled B&W Nautilus concept speaker of yore and the genetic connections become clear [photo © Jake Purches, UK]. Tapered tubes are absorptively loaded to capture their drivers' rear emissions. That eliminates their reflective contributions from the relevant front-radiated information. 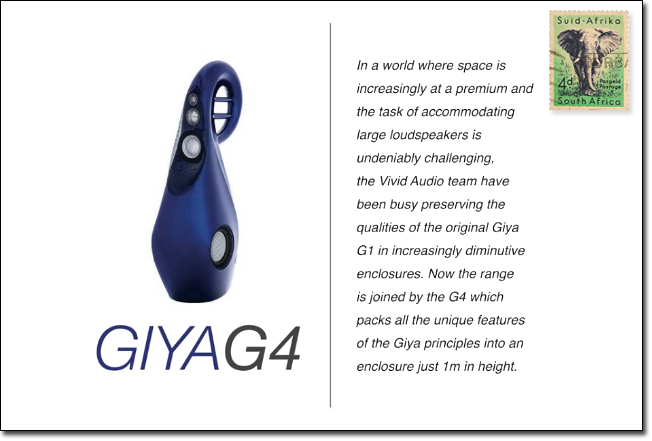 With Joël Chevassus on staff having reviewed the K1 and G1 to include plenty of background information and photos on the Vivid Audio facility and its lead designer Laurence Dickie, interested readers will refer to them to eliminate redundancies. Very unceremoniously, this gets us back at the cover shot. A not very tall Mr. Dickie must lean down to rest his elbow on the G4. As a bona fide 5-driver 4-way with horizontally opposed woofers—just like a BMW motorcycle boxer engine—our Giya monster stands just one meter tall. That's shockingly compact once you experience its very aspirated SPL potential. The form factor is obviously the antithesis to the oak-clad Tonmöbel of various rectangular proportions. Whether it'll inspire lust or revulsion depends on each viewer. No argument, it is an unapologetically modernist look. But its palette of stock automotive lacquers and surcharge options makes for a broad range of customization choices. If you're sick and tired of box speakers with their off-the-rack cones'n'domes, Vivid play a rather different tune. It's about how curves follow function, baby! G4 and G1 side by side. Photo © Jake Purches, UK. Having reacquainted myself with the Vivid sound at a Warsaw Audio Show, I decided it was high time that I review a pair myself. As they had at prior shows, these Vivid models exhibited a startlingly undirty wickedly fast very punchy sound. By contrast, most other speakers sounded dirty to varying degrees. Think of a cross between electrostats and horns for Vivid; of generic boxy fuzz makers for much of the competition. On the subject of speaker speed when horns are out for whatever reason, Vivid seems a predestined choice. For some quick history, Robert Trunz had been B&W's global marketing director and eventual majority share holder for two decades. He was instrumental to see to commercial fruition B&W's 5-year long £4 million Nautilus project as a promise to the dying company founder John Bowers. Following the success of the Nautilus project, Dickie had begun pursuing professional loudspeaker design with the support of now B&W president Robert Trunz. In December 1996 Trunz left the firm to pursue his record label followed by Dickie who was intent to continue the work he had started in pro audio. At around the same time in 1999 when Dickie was appointed as consultant speaker designer with Turbosound, Trunz emigrated to Cape Town to be closer to his recording artists. Once in South Africa, he was visited by his former B&W importer Philip Guttentag and colleague Bruce Gessner. They proposed local manufacture of world-class speakers under the lead of Laurence Dickie. 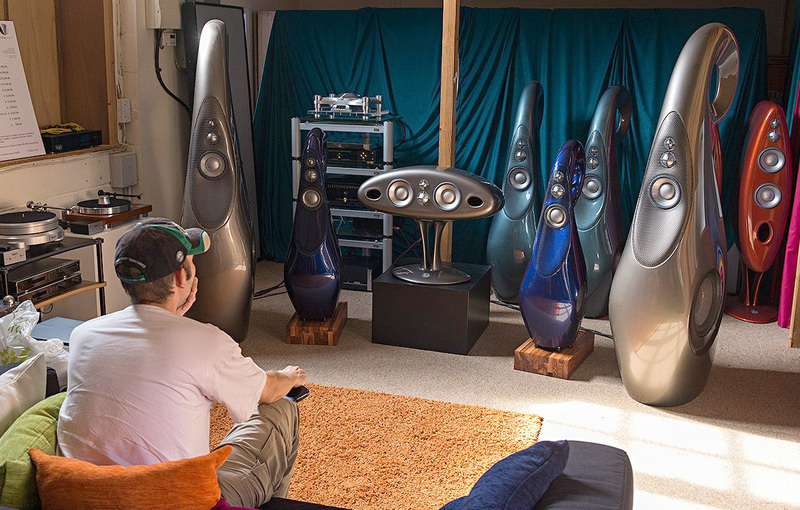 By 2004, Vivid's first model the B1 premiered at the Heathrow Hifi show.